It’s a link. Your personal link to get paid via PayPal. Nothing to see here. Fine, if you insist. It actually is really cool! PayPal.Me is probably the simplest and friendliest way that PayPal has made it possible for you to get paid. No more individual requests or hassle – just send your friends, family, coworkers or anyone for that matter a personal link from PayPal.Me. Starting today, PayPal.Me will be available in 18 countries including the U.S., Germany, UK, Australia, Canada, Russia, Turkey, France, Italy, Spain, Poland, Sweden, Belgium, Norway, Denmark, Netherlands, Switzerland, and Austria. Everyone else will have to wait a bit until PayPal sees how well PayPal.Me does in the its launch markets, but with a little luck, it shouldn’t take too much time. What Is The .Media Saying? While PayPal already offers numerous ways to ask for and receive money, PayPal.me is quick and simple. 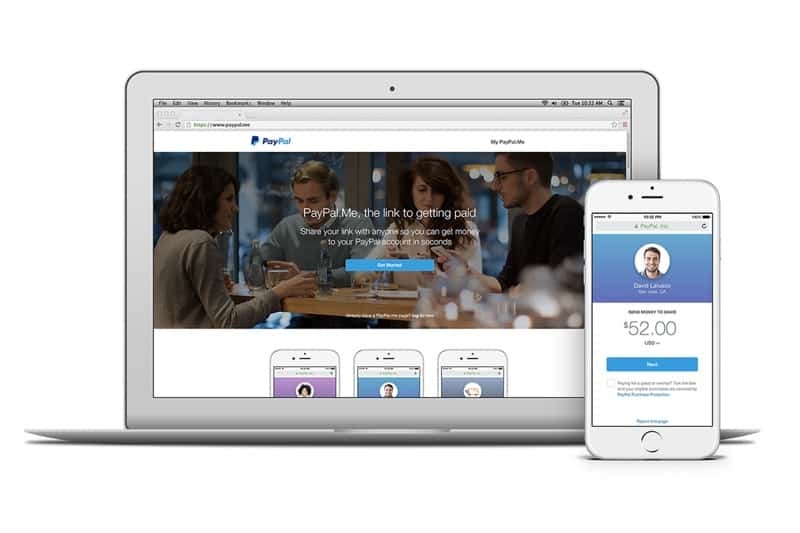 With PayPal.Me, however, the idea was to create a mobile-first user experience that makes doing so simpler and faster than with the company’s traditional tools. They know? Great, now the recipient can click on the link from any device. It can be your Samsung Galaxy or an iPad, your Lenovo tablet or a MacBook Air. It really doesn’t matter, because PayPal.Me will – just work! .Me’s extra tip for using PayPal.Me: A very nice detail PayPal included in the user experience of their PayPal.Me service is including the amount of money you want to request in the URL. By including the amount, such at $15 to the end of our URL PayPal.Me/DomainMe/15, the link will “auto populate” the amount for the sender to transfer to you! All transfers between users in the UK will be free, while transfers from bank accounts or existing PayPal balance in the US also won’t be charged. The other 16 countries will incur a small fee depending on the country you’re in! If you don’t include the amount in the link, after opening your PayPal.Me link, recipients will enter how much they need to send you and hit send. That’s it, the money will quickly be transferred to your PayPal account and all it took was a couple of clicks. It really is that simple, just like getting a great domain name! The founder of the "Techcrunch of Southeastern Europe" - Netokracija - and ex-Techcrunch writer with years of experience writing about startups, technology and the domain industry!